FEBRUARY INCOME REPORT: I’m off the mark! 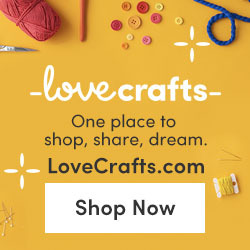 I’ve decided to publish my online income because I think it will be useful to other crafters to follow along as I attempt make enough money to pay for my favourite hobby. I strongly believe from everything I’ve read that this IS possible. I also really need to do this to keep me on the … Continue reading FEBRUARY INCOME REPORT: I’m off the mark! January Income Report: Will I Make an Income from Crochet? Hello, Welcome everyone, it's good to see you here. I've made an important decision and here it is... I am going to try and monetise my website to see if I can earn a small monthly income from my crochet "doings" online. Eeeeshk!! My main reason for doing this is to see if I can … Continue reading January Income Report: Will I Make an Income from Crochet?